(16 x 12¾ x 12¾) Great for books, CD/DCDs, LPs, ornaments, household products and heavier items on the small side. Perfect for shipping. (18 x 18 x 16) Great for notebook computers, small flat screen monitors, small appliances, kitchen utensils and photo albums. (18 x 18 x 24) Great for pots and pans, bedding, clothing and children's toys. (23 x 23 x20) Great for odd shaped, bulky items like lampshades, linens and pillows. 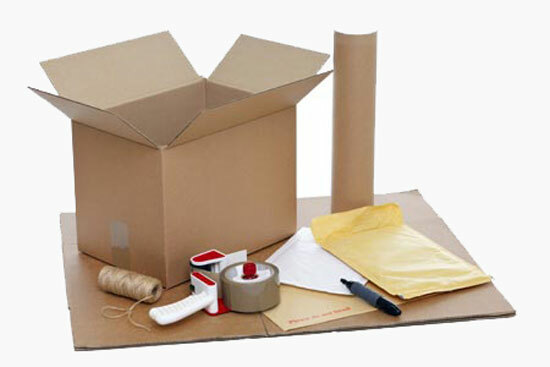 (18 x 18 x 27) Extra thick walls and specially designed insert will keep even your most fragile items free from harm. (21 x 21 x 48) The ideal way to hang and store clothes. FURNITURE COVERS Protects furniture from dirt and moisture. BUBBLE WRAP Helps avoid scratches and cracks to fragile items. PAPER PADS Keeps wood, upholstery and glass from getting scratched. LOCKS We provide a wide array of locks to suit your preferences. You alone will hold the keys.